NATS has become not only the first air navigation service provider to report its greenhouse gas (GHG) emissions – it has also achieved one of the top grades in its first year of reporting, beating the average score of nearly 6000 companies worldwide. 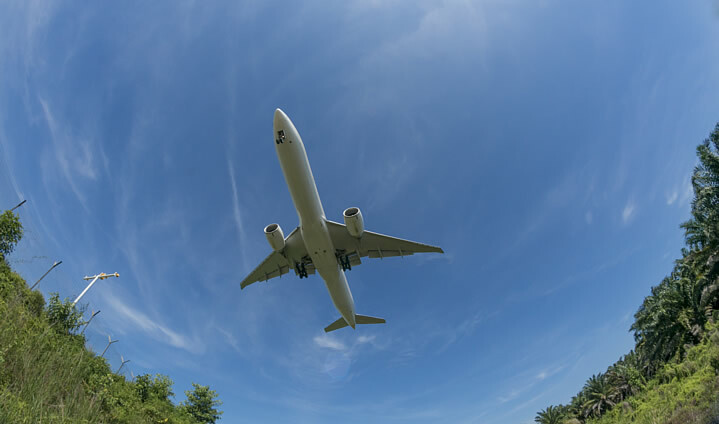 NATS achieved a B grade for its first year of reporting GHG emissions to CDP (formerly known as the Carbon Disclosure Project) for its success in responsibly managing and reporting a reduction in GHG emissions in UK airspace and across the business’ estate. The average grade worldwide was C.
NATS reported various examples of how it responsibly managed GHGs in 2015-16, including delivering incremental adjustments to improve the efficiency of operational and tactical procedures, which helped save more than 34,000 tonnes of CO2 emissions. Replacing two of four main chiller units at the Swanwick air traffic centre, achieved a 20 per cent power saving to keep the carefully controlled temperatures within the building suitable for both its people and technical systems – and saving around £270,000 a year. Installing photovoltaic panels at three of its radar stations, this technology supplemented the power used in the summer months and has reduced electricity grid consumption by up to 20 per cent at each station. The air traffic services provider outperformed the average CDP score for other companies in the air transportation sector in terms of governance and strategy, risk and opportunity management, emissions management and verification. Performance scores are awarded in bands ranging from A to F to represent a company’s progress in addressing environmental issues, and highlights where risks may be unmanaged. The B grade demonstrates NATS’ success in carefully and responsibly managing its environmental impact, approach to managing climate change and coordinated action on climate change. Ian Jopson, Head of Environmental and Community Affairs, said: “We’re committed to working hard to reduce the impact all of our operations have on the environment and the communities around the UK through the reporting of greenhouse gas emissions and delivering innovative solutions to reduce greenhouse gas emissions. Reporting greenhouse gas emissions to CDP. Since then NATS has been taking steps to improve its internal controls, processes and management of greenhouse gas emissions, including independent external assurance of its energy and environmental performance information to the International Standard of Assurance and Engagement (ISAE) 3000 standard.